These high-performance, 75 ohm types have been developed specifically for 4K UHDTV applications. They have extremely low return-loss and are rated to 1000 mating cycles. 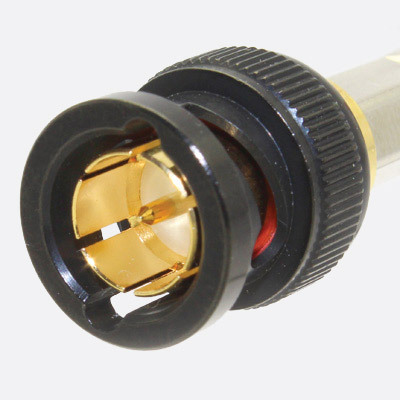 The impedance-matched, gold-plated, crimp centre-pin 'clicks' home into a PTFE insulator in a black nickel plated body with crimp outer sleeve ('ferrule'). Return loss is typically 29dB at 3GHz and 19dB at 12GHz. Straight body and right angled body types are available. 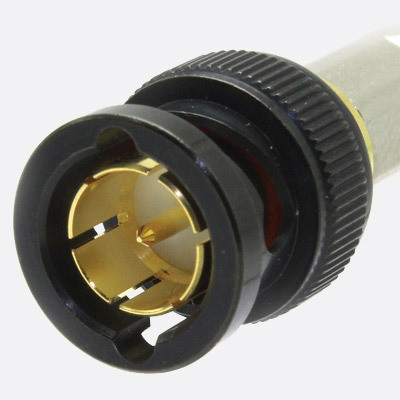 For cable group Y, the standard version of the connector has crimp sizes 1.72mm and 8.23mm. 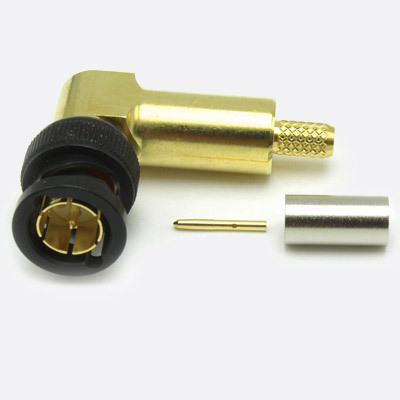 An alternative version is available with the American standard 1.07mm and 7.06mm sizes. 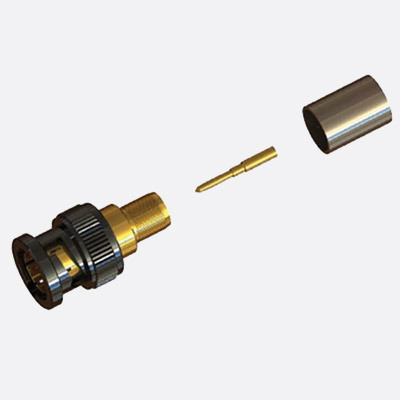 The latter is suitable for use with crimp tools designed for American manufactured connectors. Both have ferrules that are 12.7mm long. Canford offers several ranges of BNC connectors of a less stringent specification, including 75 ohm 3G types for HD-SDI, and 50 ohm types suitable for RF purposes; these are listed separately. Coax Connectors crimp tools are also stocked. These are supplied complete with appropriate dies. However tools and dies from other manufacturers may also be used, see Crimp tools. 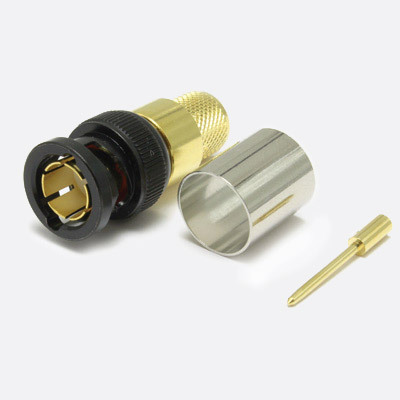 Crimp dies must be the correct type for the connector and cable size. 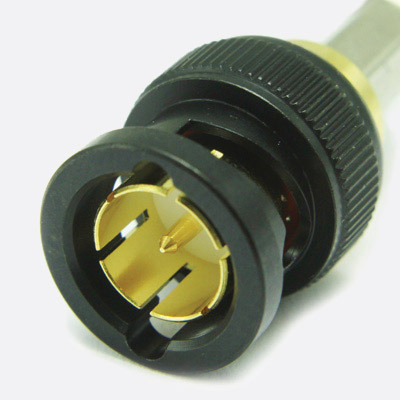 Due to the precise dimensions of the centre pins required to achieve superior performance at UHD bit-rates, crimp-dies used generally for SD BNCs may not be suitable for Coax Connectors BNC 12G UHD connectors. Preis auf Anfrage, rufen Sie uns an.